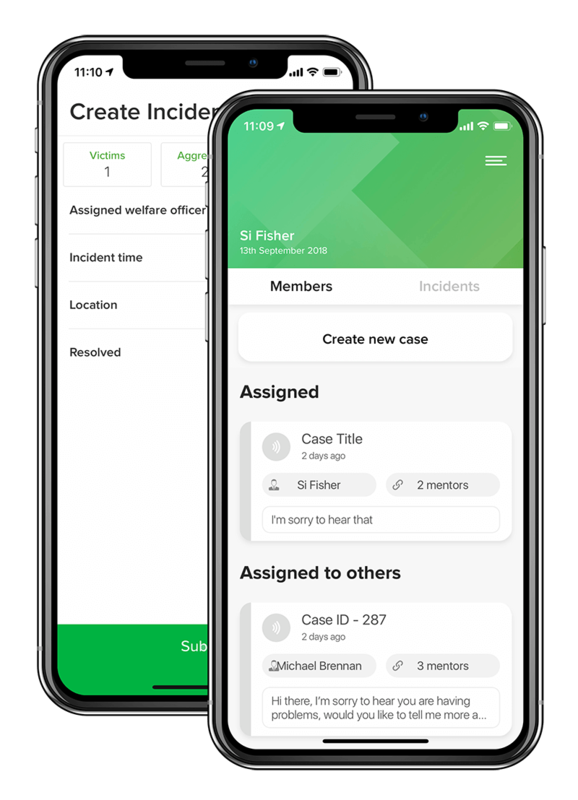 A safeguarding and reporting solution trusted by welfare officers and coaches around the world to enhance their safeguarding systems. Proven to make it easier to safeguard and listen to your players with a centralised, GDPR compliant and paperless system that saves time. 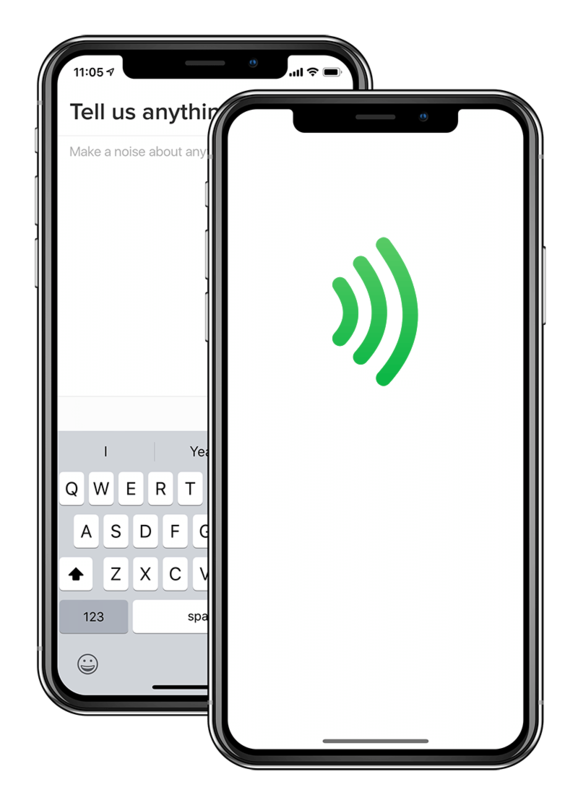 Tootoot Sport is a safeguarding and listening platform that allows members and players to report any concerns or issues directly to their club. Members can report anything directly to their welfare officer or coach and attach supporting evidence. Injuries, general feedback and safeguarding issues such as bullying can all be sent directly to their club. Enable welfare officers to be more effective in safeguarding and listening to their members. Tootoot Sport provides a simple and effective platform for clubs to respond to and resolve reports by their members. No more need for paperwork! Welfare offices can record safeguarding issues, injuries and concerns using tootoot sport. Each Welfare officer is able to log and record key information along with attaching evidence. 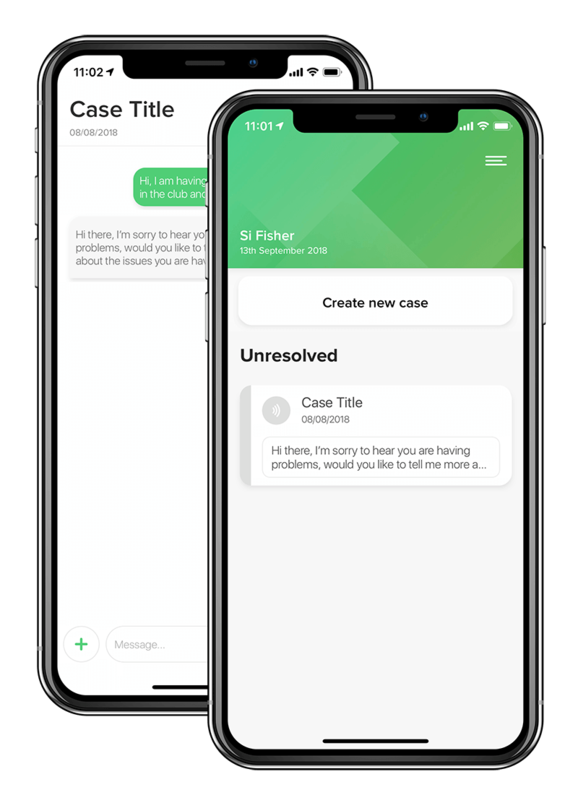 Each case created is date and time stamped and builds a full chronology. 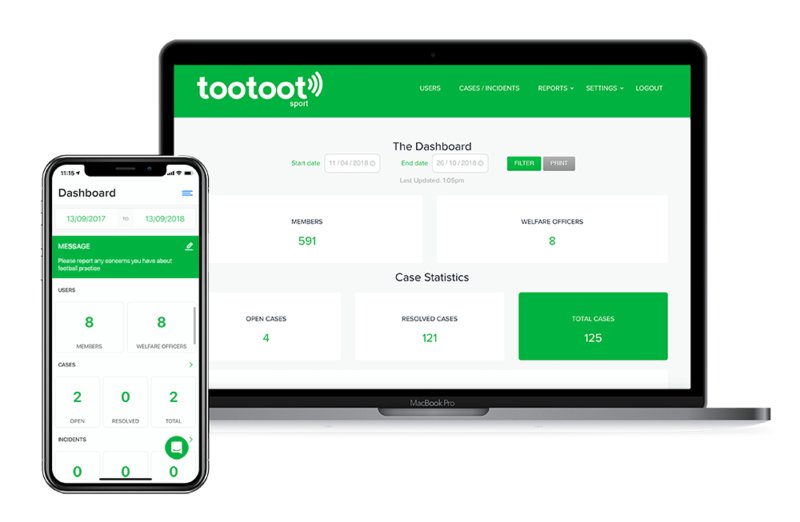 Tootoot Sport comes packed full of insightful reports and metrics that help you make sense of all your member's cases, discover trends and give you the information you need in order to make evidence-based decisions at your club. Powerful search tools allow you to create your own bespoke reports. Tootoot sport enables governing bodies to capture and analyse real-time reporting and data for all clubs, in any location. Interested in finding out more about how tootoot sport can help your club? Request a call and our support team will be in touch as soon as possible. If you can't wait to get started, sign up today.